Openings and banks in forests. 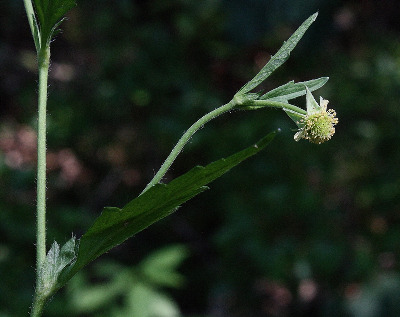 Geum virginianum has the aspect of G. canadense in trifoliolate leaves and fewer-carpeled heads (than G. aleppicum and G. laciniatum), but the coarsely toothed terminal leaflet is usually much larger than the lateral ones, the stipules are much longer than in G. canadense (the largest 2 cm or more long), and the petals are pale yellow rather than pure white when fresh and shorter than the sepals. The stem (but not the pedicels) is even hairier than in G. laciniatum, which has more achenes in a head and a glabrous receptacle. MICHIGAN FLORA ONLINE. A. A. Reznicek, E. G. Voss, & B. S. Walters. February 2011. University of Michigan. Web. 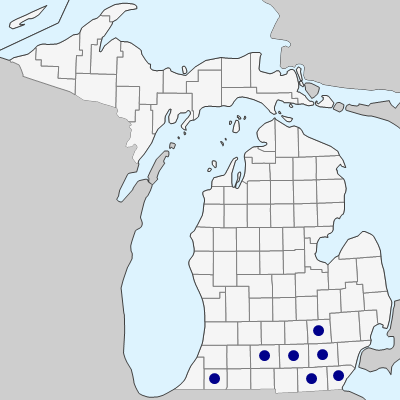 April 19, 2019. https://michiganflora.net/species.aspx?id=2492.